Let’s learn how to make rice bhakri or tandalachi bhakri which is an authentic Malvani Cuisine from Konkan Belt. Courtesy Mom and thanks to her I learned How to make Rice Bhakri. First time I made an attempt to make Rice Bhakri. I enjoyed making these lovely bhakris. But I had more fun eating these hot hot Rice bhakris with chicken curry and chicken fries. What more one can ask for in a chilled rainy season. Rice Bhakris comes from Konkan cuisine even some part of goan region make these lovely bhakris. Also a lot of Agris in India make these rice bhakris. Its ideally suppose to be eaten with mutton rassa, chicken rassa Or some vegetables. 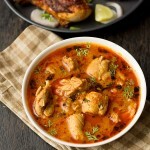 Rassa means curry in Marathi language. 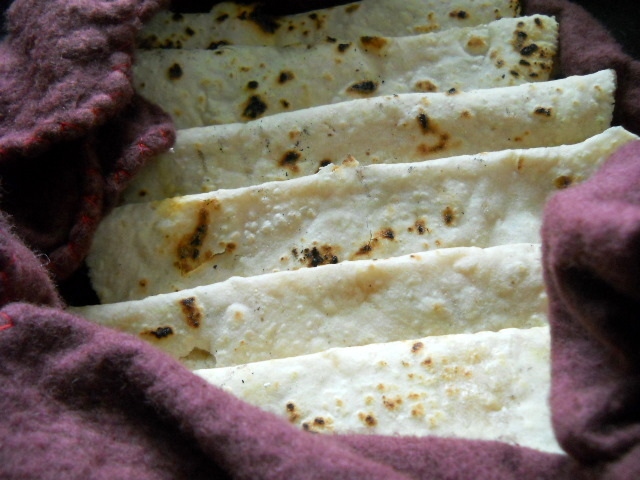 Bhakris are Indian flat breads. Its made with mainly rice flour. Rice Bhakri or any bhakri is my favorite. I binge on bhakri be at zunka bhakar any other bhakri. 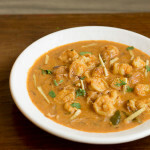 Condition is bhakris should be hot and served with yummy curry Or vegetable. Gosh this makes me hungry again. I don’t wanna go through hunger cravings so will quickly share this recipe with all of you. 1. Firstly boil water in a big vessel. Keep gas in medium mode. Add one tablespoon of oil. 2. 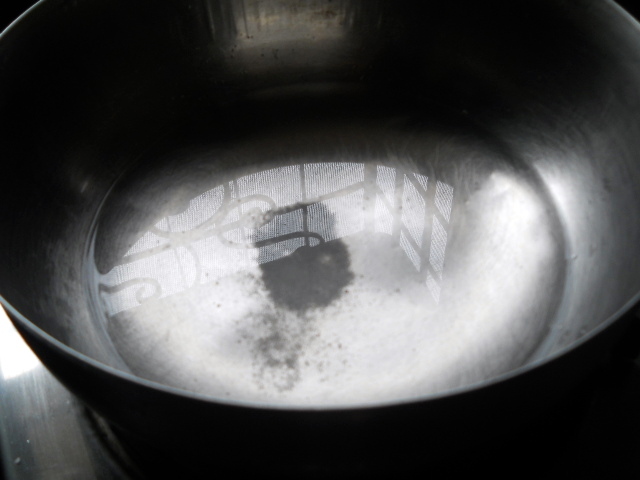 Once water starts bubbling and boiling. Reduce the heat mode to low mode. Now add flour and mix with a spoon. It will appear like crumbs. 3. Switch off the gas. Cover the vessel with a lid for 5 mins. 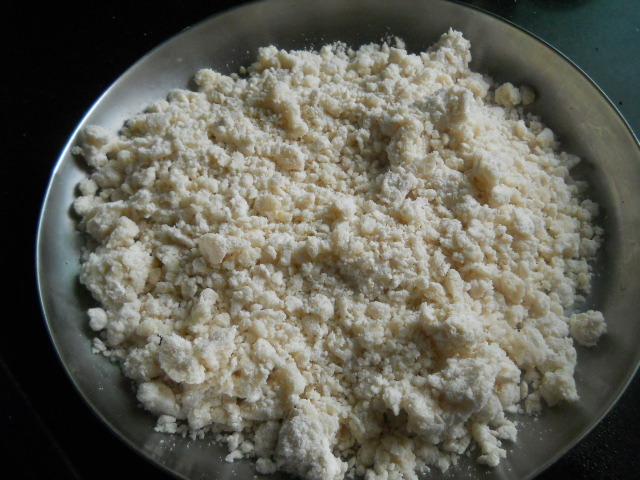 Now add salt and start kneading the mixture with your hands. Keep kneading for 15 mins until dough becomes nice smooth. If the dough is slightly firm add little water. 4. Shape them into 2 inch round balls Or oval shape. Dust some flour on the balls. Roll them with a roller into oval Or round shape. 5. Take a frying pan keep on medium mode. Now fry the bhakris from both sides on low flame for a minute on each side. 6. Now place this bhakris on low fire. With the help of hand Or tongs roast them from both sides. 7. Spread a little ghee on both sides. Now place them in a covered vessel. 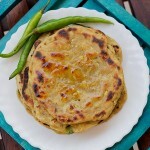 Serve rice bhakri hot with curry Or vegetables. 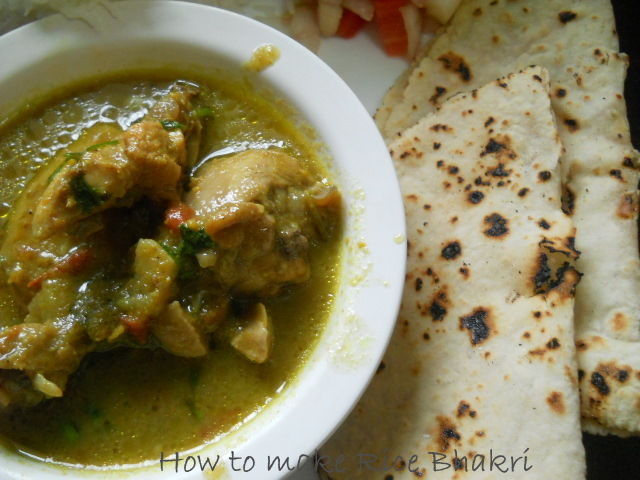 Tandalache Bhakri or rice bhakri a popular food from the Konkan belt served with fish curry or veggies. Firstly boil water in a big vessel. Keep gas in medium mode. Add one tablespoon of oil. Once water starts bubbling and boiling. Reduce the heat mode to low mode. 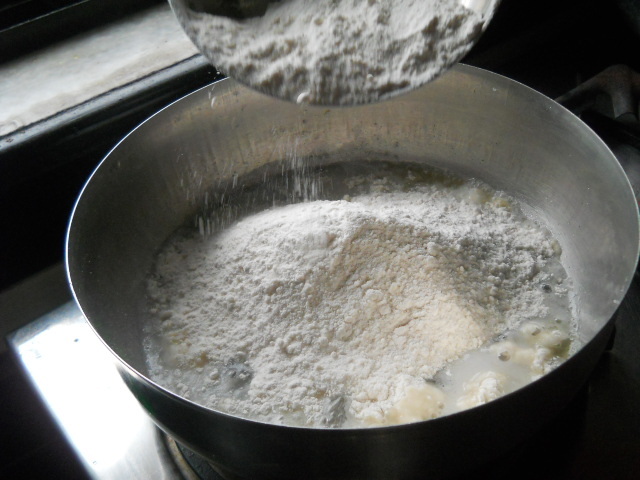 Now add flour and mix with a spoon. It will appear like crumbs. Switch off the gas. Cover the vessel with a lid for 5 mins. Now add salt and start kneading the mixture with your hands. Keep kneading for 15 mins until dough becomes nice smooth. If the dough is slightly firm add a little water. Shape them into 2 inch round balls Or oval shape. Dust some flour on the balls. Roll them with a roller into oval Or round shape. Take a frying pan keep on medium mode. 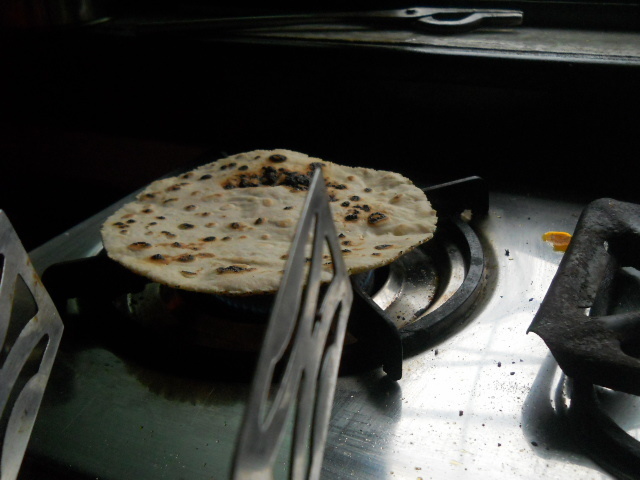 Now fry the bhakris from both sides on low flame for a minute on each side. Now place this bhakris on low fire. With the help of hand Or tongs roast them from both sides. Spread a little ghee on both sides. Now place them in a covered vessel. 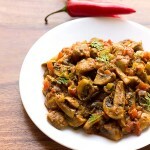 Serve hot with curry Or vegetables. 1. You can omit ghee and just eat them! 2. You could also add ragi, corn, jowari flour to increase the fiber value. 3. Also make the dough when you want to make the bhakris. Don't keep them in the fridge as the bhakris might crack. So better would be to make it fresh. Thank You!! first successful attempt in kitchen with the help of this content.. Pleased to know this Santosh 🙂 thanks for positive views. The receipe is very nice. But bhakris are roasted using water instead of ghee or oil thus making it more healthy hence it is mostly made by farmers in Maharashtra. One more thing bhakris are rolled by applying pressure of palms and not rolling pin. 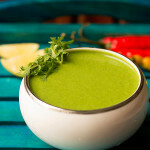 I recently came across your blog and the recipes are great thanks so much for sharing them. 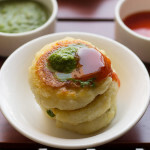 I liked the recipe above and would be happy if you could post how to make bhakris adding jowar, bajra, ragi,corn etc to the rice flour and the proportion to use when making them. I have been asked by Dr. not to eat wheat and am missing the chapattis. Also could you please post the recipe of Pork jeere meere or fish jeere meere. thanks I was’t aware of it. Thanks a ton for the step by step description with photos of each step. I would definitely try them out – looks yummy in the photos! Hey Geeta thanks a ton. Do try them and lemme know how was it? lovely rice bhakris….. am missing them in the rains here…. will try them soon..
Fabulous! 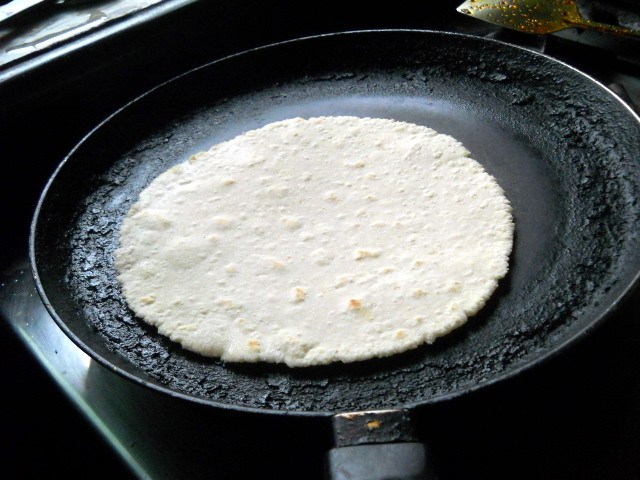 How are bhakris different from chapatis or other kinds of flat roti? 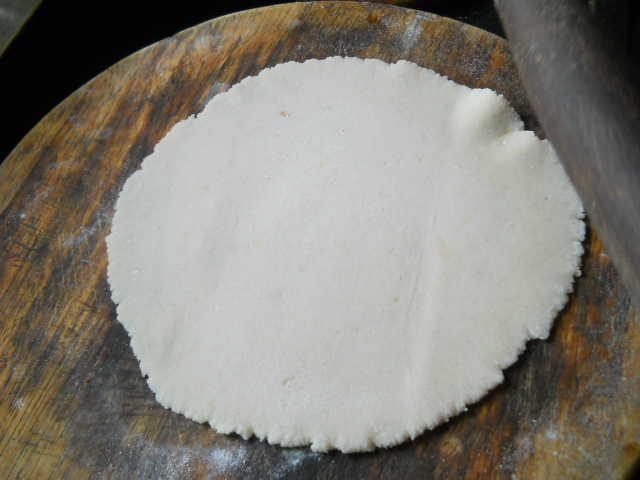 I LOVE jawari rotis- mentioned them in my blog recently. I have also heard jawari and bajra rotis are available pretty much only in Rajasthan- is that true? It’s very difficult to find in Hyderabad. I just bought some bajra and am going to try to make pancake or muffins with them… we’ll see how it goes. It’s rarely used in American cooking!